Djura Mijatovic is a managing partner at Zivko Mijatovic & Partners (ZMP). His practice focuses on all matters relating to IP rights. ZMP, which was established in 1939, focuses on prosecution, litigation and anti-counterfeiting strategies for clients across a wide range of industries. Mr Mijatovic has an LLB from the University of Greenwich, has completed an executive education programme at Harvard University and passed the English Bar at Middle Temple. He is a member of INTA, the European Communities Trademark Association, the Pharmaceutical Trademark Group, MARQUES, the International Association for the Protection of Intellectual Property and the Asian Patent Attorneys Association. He has been an active member of INTA committees for the past 15 years and has been a speaker at many international IP conferences and national workshops. 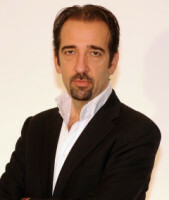 In his role as managing partner, Mr Mijatovic oversees the work of ZMP’s network of offices throughout Europe, including in Central and Eastern Europe (Albania, Bosnia and Herzegovina, Bulgaria, Croatia, the Czech Republic, Hungary, Kosovo, Macedonia, Montenegro, Poland, Romania, Serbia, Slovakia and Slovenia) and Alicante. ZMP’s constant presence in these countries allows it to provide clients with immediate and simultaneous services, simply by contacting one of its offices. It is for this reason that the firm’s service is unique in the region.